Production shutdowns at major PVC supplies in the US have helped keep the domestic market as well as global markets firm for the past few months as per the pricing service of ChemOrbis. After Westlake announced that it was lifting its force majeure on PVC supplies late last week, more producers are expected to return to normal production by April if they finish their maintenance turnarounds as scheduled. After having declared force majeure on output from Geismar, Louisiana on Feb 13 due to equipment failures related to the VCM unit, Westlake restarted its 300,000 tons/year PVC plant by early March. However, the company kept its force majeure in place and only lifted the force majeure on March 15. Market sources also said that Formosa was planning a shutdown at its 575,000 tons/year PVC plant in Point Comfort, Louisiana in late January or early February. The shutdown was delayed several times, with the last reported delay taking place in late February. The producer is expected to keep the plant shut for three weeks, according to market players. Shintec also reportedly shut its PVC plant in Freeport, Texas for three weeks for maintenance. The shutdown started in late February, according to market players. Georgia Gulf was also scheduled to have a two week shutdown at its PVC plant in Plaquemine, Louisiana within March. The domestic PVC market has been strong since the beginning of the year in the US, supported by ongoing availability constraints. Both Axiall and OxyVinyls announced 3-cent/lb ($66/ton) increases for PVC prices effective as of April 1. One of the producers cited healthy demand and reduced domestic availability for the price hike target. 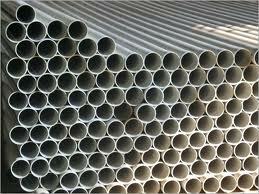 Nevertheless, PVC prices out of the US see limited interest in many export destinations. According to traders, American producers are not rushing to cut their offers for new shipments as they see satisfactory buying appetite in their domestic markets amidst tight supplies. All the same, PVC cargoes on the way from the US are still showing up at lower levels sporadically in Turkey, for which the US is the largest PVC supplier according to ChemOrbis. “The persistent lack of demand in export markets will shake the confidence of US producers at some point,” commented a market player.